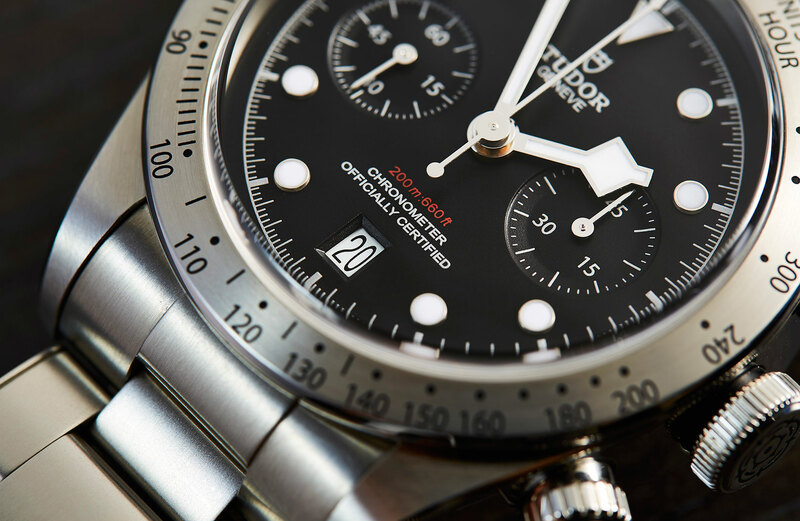 Tudor Black Bay Chronograph: More Than the Sum of its Parts? The 41mm steel case of the BB Chrono is at once familiar and unfamiliar. The shape and high, slab-like sides are classic Black Bay, but the additional pushers and tachymetre bezel are new to the family and quite unfamiliar. Except that they’re kind of not. 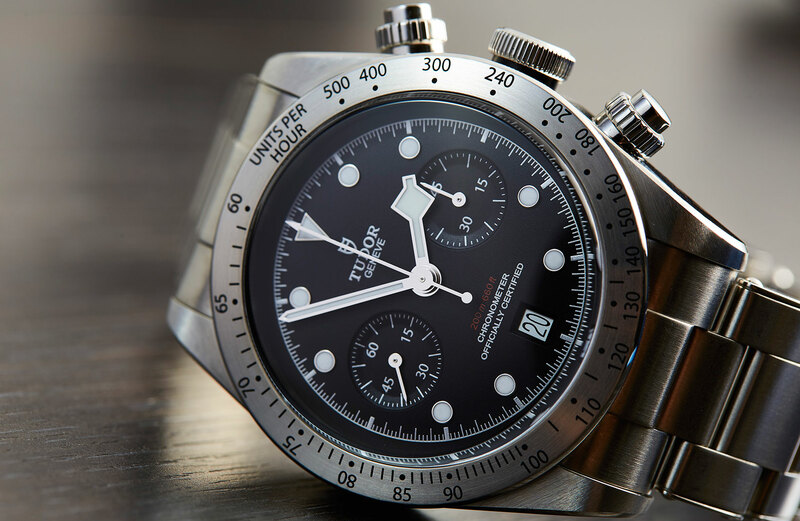 If you punch “Tudor 79180” into Google you’ll find countless examples of the ‘Big Block’ chronograph, first introduced in 1976 (six years after their first chronograph, the Prince Oysterdate) which shares the engraved steel bezel and those fluted, screw-down chronograph pushers. 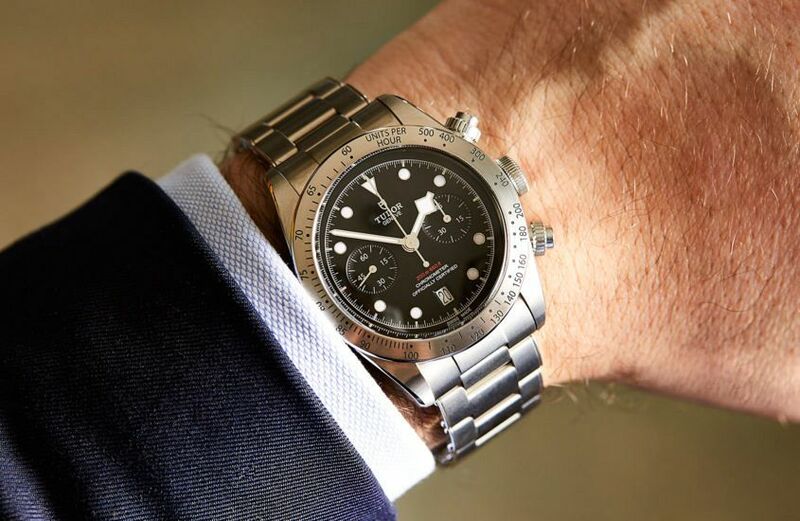 So while the bezel and pushers may not be design details featured on recent Tudor watches, they’re certainly a prominent part of their history. One detail that’s a key part of the historic models but absent on this release is a crown guard. I understand it might be messing with the Black Bay design codes a little too much, but I really think that a crown guard would have given a more pleasing visual symmetry to the case design and a neater look to the chronograph pushers, especially when they’re fully unscrewed. The case is rated to 200m, as per usual. Like the case, the dial of the BB Chrono is a mix of old and new. The snowflake hour hands are very much in evidence, although in a slightly slimmed down form to allow for greater chronograph legibility. The applied ‘dot’ markers are still on the scene too, though the baton-like 3,6,9, markers have disappeared, replaced by subdials and a date. The subdials – plainly printed and slightly recessed – are nicely executed and well proportioned. The left is running seconds and the right is a 45 minute counter. There’s a date at six, on a white disk neatly recessed in the matt black dial. And while many people find dates jarring, I actually think the pop of white adds some nice balance and works better than a lone, large hour marker would. Tudor describe the relationship with Breitling as a collaboration, and for their end of the bargain, Breitling gain access to the three handed MT5612, sans the oscillating weight, springs and regulation. This move seems counterintuitive in an age where ‘in-house’ seems to reign supreme. But really, it makes perfect sense to not reinvent the wheel, and by sharing tech with Breitling, consumers get a top notch chronograph with the latest features, like 70 hours of power reserve that beats at a very smooth 28,800 bph, all for a price that’s truly hard to beat. The BB Chrono comes on the rivet style bracelet, which is becoming increasingly standard across the Heritage collection. It also comes in an option on an aged, sandy coloured leather that’s quite handsome. Whichever style takes your fancy, you can be assured that there’s a nice denim blue fabric strap in the box too. Putting this watch on, I was again struck by the feeling of dissonance. Glancing down at my wrist I was constantly surprised by the chronograph elements. But I’m more than happy to admit that’s my own baggage to deal with because there’s no denying that it feels solid on the wrist. 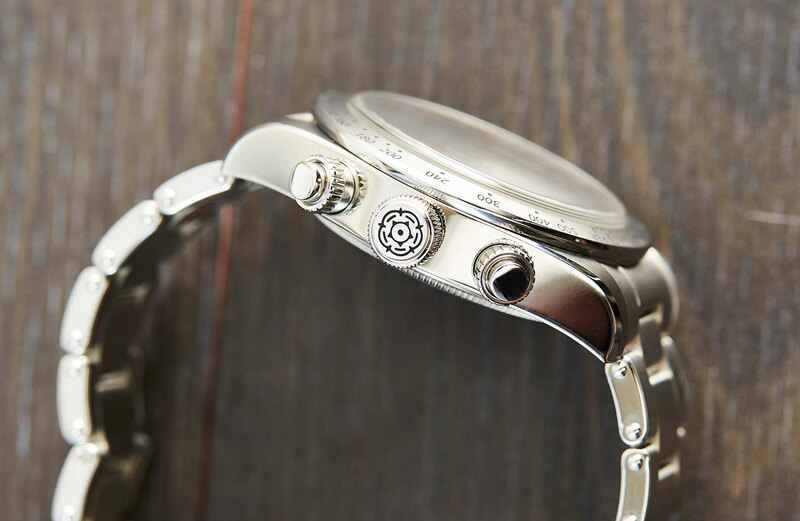 The chronograph action is smooth and the crowns unscrew without too much fuss. 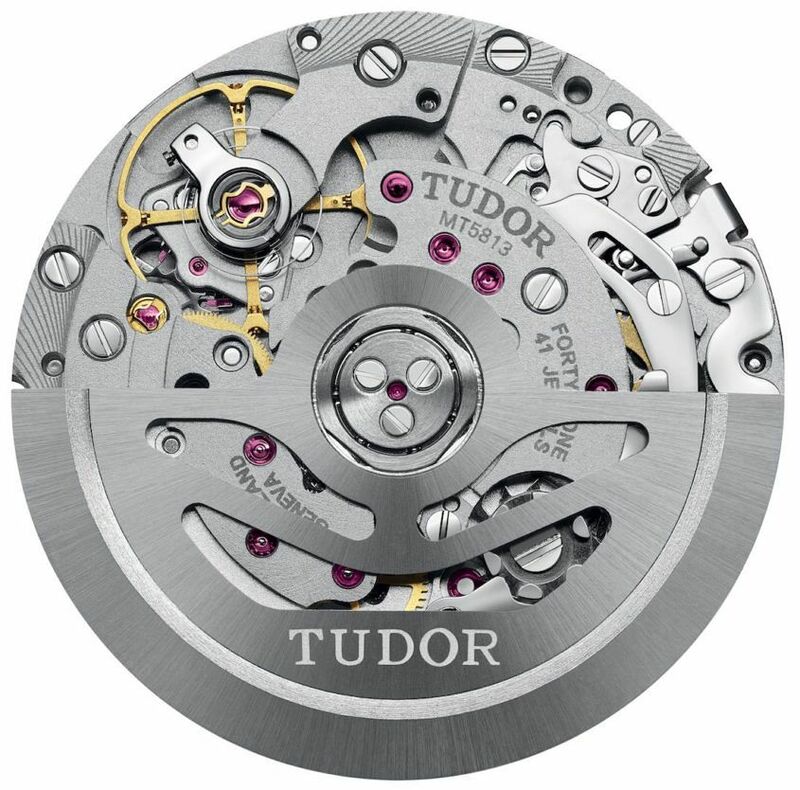 Tudor certainly know how to make a satisfying watch. Aside from the movement story, the biggest fuss around this watch was the perception of ‘mismatched’ design; the mixing of typically automotive chronograph codes with dive DNA. And for all its heritage nods, this is far from a traditional design. 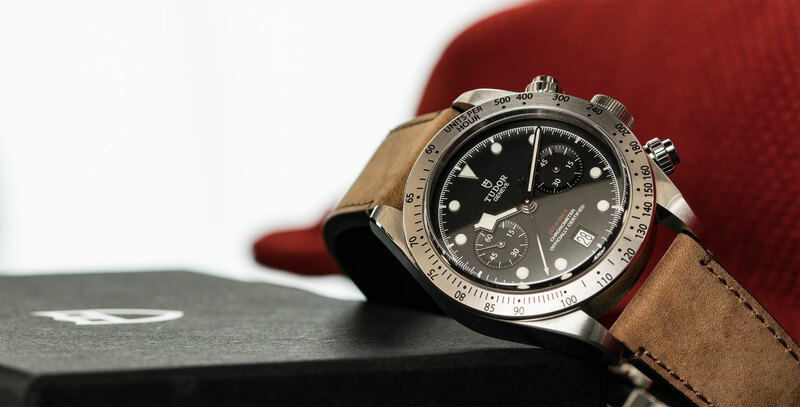 But then again, selecting elements of their past is what Tudor’s Heritage collection is all about, so we shouldn’t be too surprised to see the brand take this approach with the BB Chrono. Can you have a diving chronograph? Anyone who’s looking for a top notch chronograph that’s great value. I know it’s an ask, but I’d love to see crown guards.